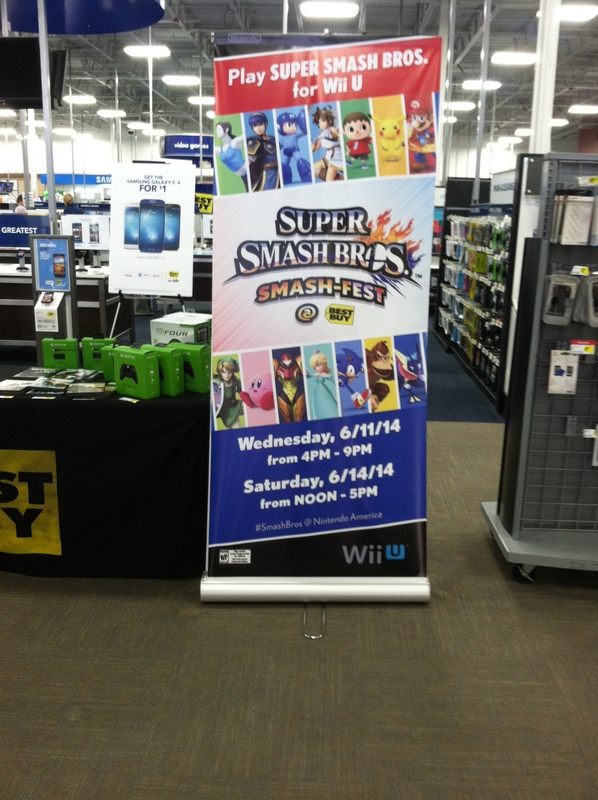 Earlier today, Lindsey and I attended the Super Smash Bros. Smash-Fest event at our local Best Buy in Denver, Co.
We arrived an hour before the event started and there were already over 100 people in line (some who had been there since 9 A.M.)! 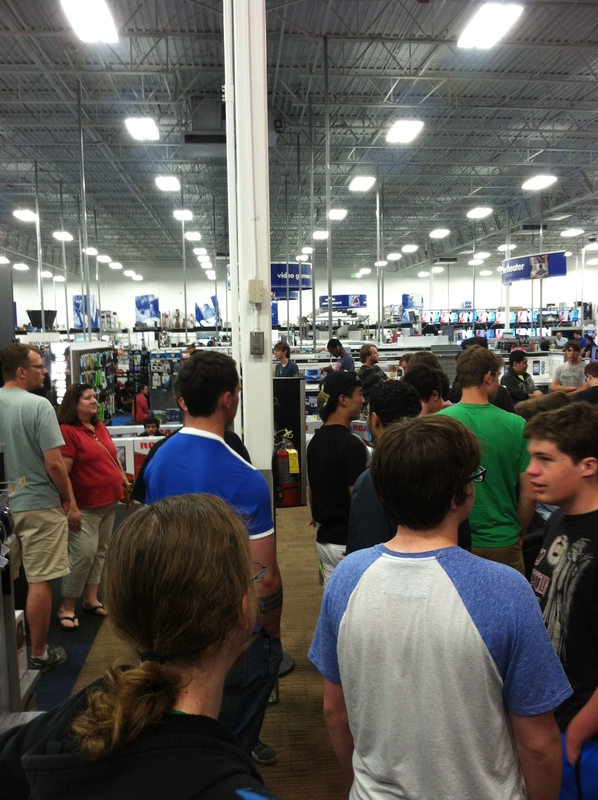 People kept coming after us, to the point that the line wrapped around the entire store, and they had to start another line outside. We were told that the first 400 people to show up would be able to play. 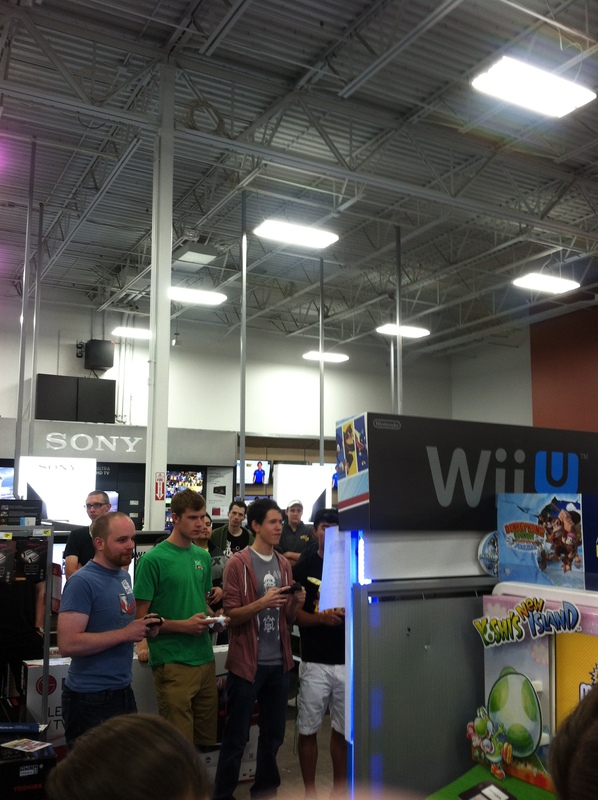 We waited about two and a half hours in total to play the Wii U game, but the wait wasn’t bad at all. 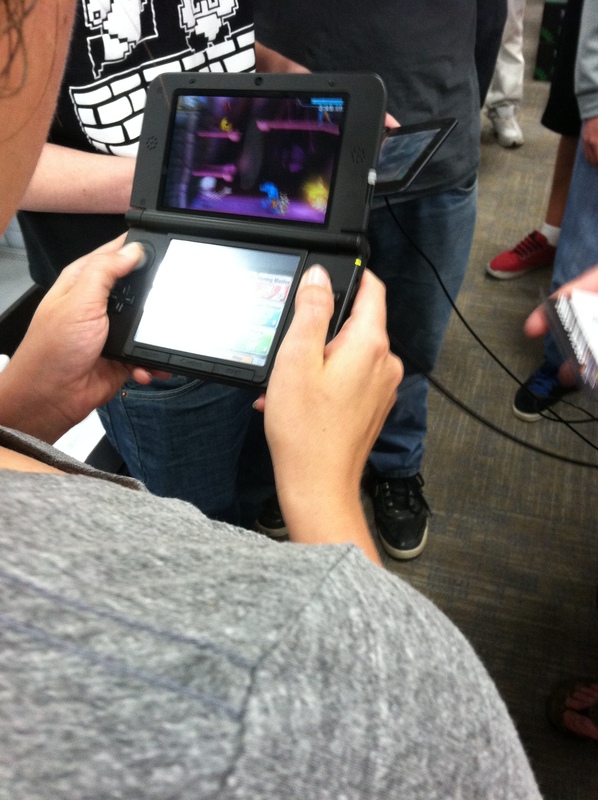 In addition to a consistent stream of StreetPasses, there were Pokemon X/Y battles and a ton of Nintendo talk. 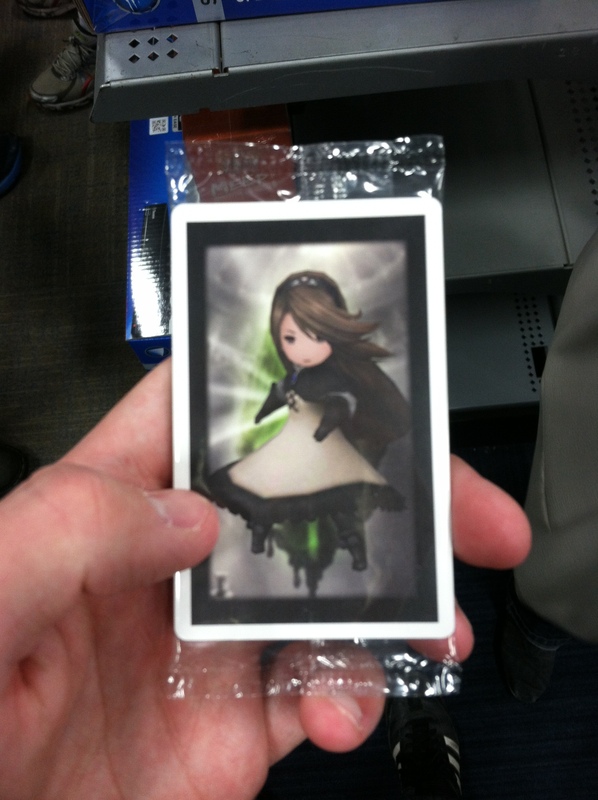 We were given a pack of Bravely Default AR cards, which was totally random and awesome. 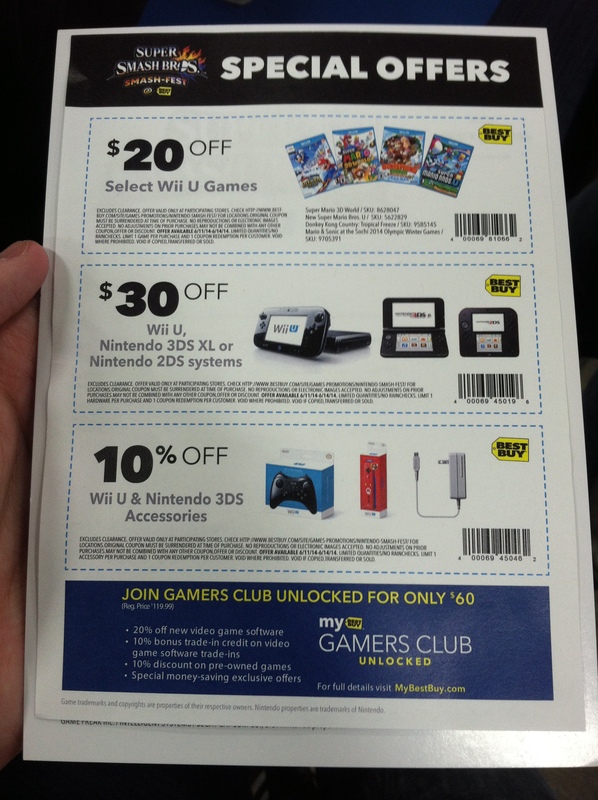 We also got some coupons for Nintendo products (which I used to finally pick up Donkey Kong Country Tropical Freeze). The wait was definitely eased by getting to play some Smash Run in the 3DS version of the game while in line (SPOILER: IT’S SO GOOD- it feels like an awesome evolution of the Smash Bros. adventure mode). 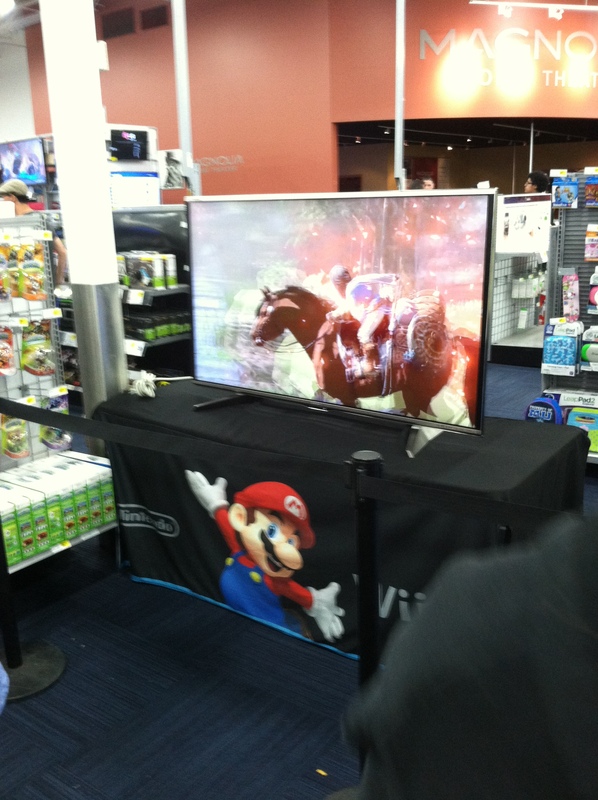 There was another TV set up re-showing yesterday’s Nintendo Digital Event. It was pretty rad re-watching the Wii U Zelda reveal with a bunch of fans! And then… we finally got to play! They gave us Wii U Pro Controllers and let us loose (for the record, Pac-Man was not a selectable character in this demo). I started with Little Mac, who was really fun to play (I got second place)! 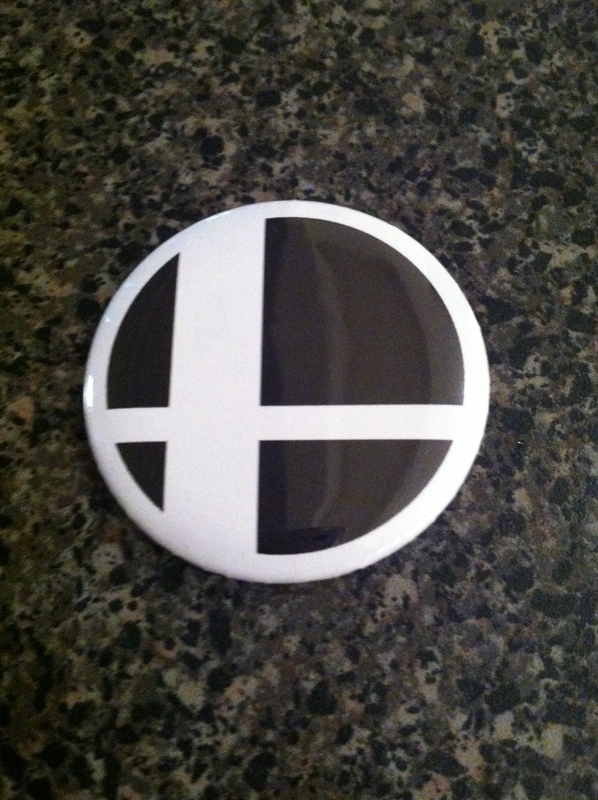 In the second match I tried Marth… and did TERRIBLE, getting and losing the Smash Ball TWICE (third place this match). But the game was a blast and looked incredible (internet streams don’t do it justice). All in all it was a fun, friendly, and exciting event with some great freebies. If you plan on going on Saturday… GET THERE EARLY! Edit: John here. I attended the Smash event in suburban Chicago, and overall my experience was very similar to Ryan and Lindsey’s (right down to the Smash button). 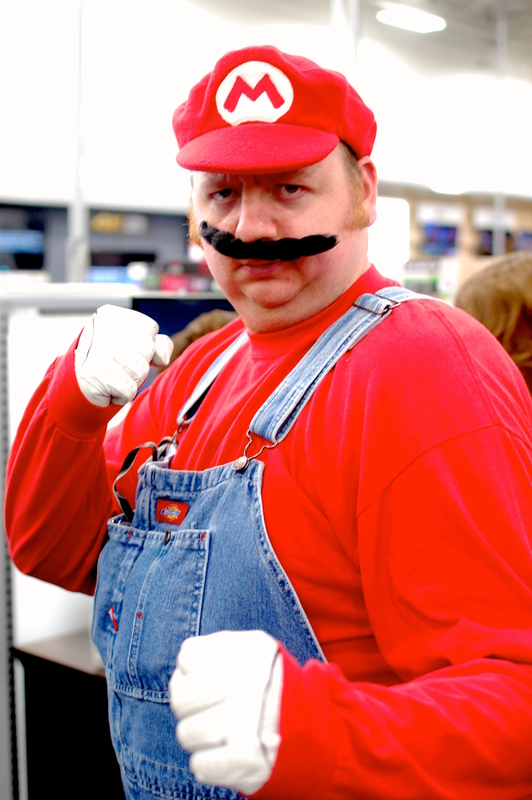 The Mario cosplay pic below was too good to leave out though. Enjoy! 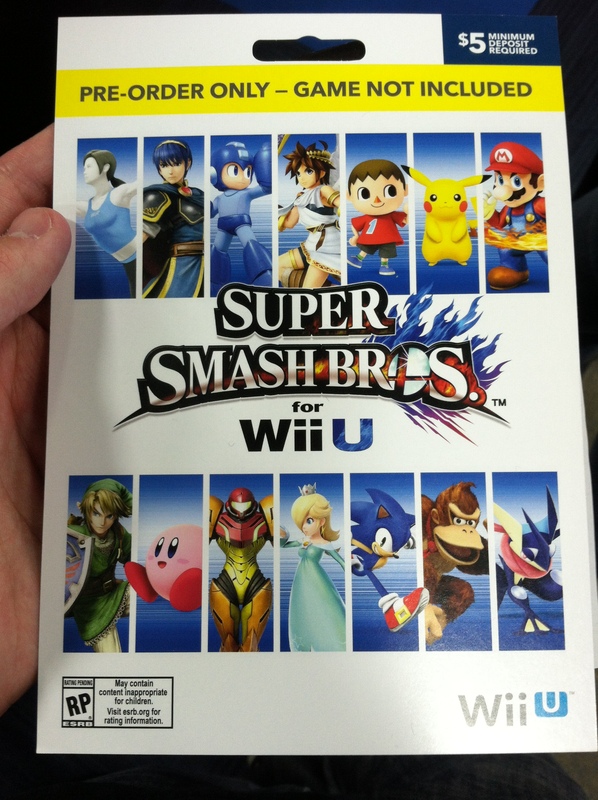 This entry was posted in Uncategorized and tagged 3DS, Best Buy, Smash-Fest, Super Smash Bros., Wii U by ryan. Bookmark the permalink.